.us representing the U.S., is the most American ccTLD, with the identified territoriality, so it is good to America companies and helps them develop business and potential customers in the U.S. Additionally, us refers to "we", meaning there will be more than one meanings extended for other personalized usage. There is no other than .us to represent the U.S. If your company is in the U.S or you are running some business in America, then .us is absolutely the best options. Different from common ccTLD, .us system only offers one form: ***.us, without the domains such as .com.us, .co.us, and .net.us available. 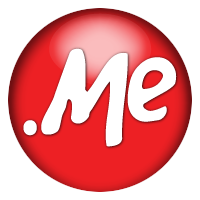 For many Chinese domain investors who register a great number of .us domain names, they do not take .us as the U.S. but the meaning of "us" (or "we"). They believe that this meaning is the best for the public. Us can combine with many words, creating infinite possibilities. .us is issued relatively late, so there is few famous enterprises using it, meaning there are a great number of resources available!